Business financing rates starting to climb. If you’ve seriously considered purchasing a mobile medical, dental, or veterinary clinic over the past couple years, now may be the time to get started and lock in a lower interest rate. From home mortgages to commercial equipment loans, we’ve experienced historically low financing rates over the past couple years. But we all knew it wouldn’t last forever. Recently, rates have steadily climbed across the board as the economy improves. Many are saying they won’t be coming back down anytime soon. One of the first steps in purchasing your new La Boit Specialty Vehicle is to secure financing. Before you can build, you need to know what you can afford to build. 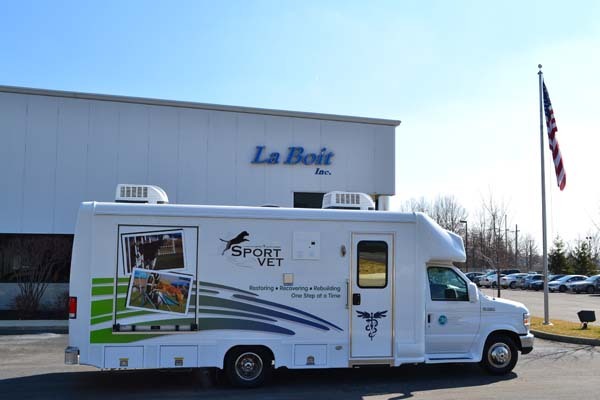 Luckily, La Boit has built hundreds of mobile clinics for practices just like yours. We are here to help guide you through the entire process, from initial financing to post-build marketing. La Boit has built partnerships with experienced financial companies who specialize in commercial equipment and transportation. They have helped many La Boit clients get the financing they need to build their dream vehicle. Our partners will work with you to put together a loan package that makes sense for you. Part of that process is talking with them about your business plan and goals. It’s important for your financial representative to understand your vision for your business so they can better serve your needs. For example, if you’re just getting started out, you may need to ramp up your payments slowly, giving your mobile practice time to start generating revenue. Rates for commercial loans are typically higher than for home mortgages. Currently, rates are around 5-8% for commercial equipment, depending on credit worthiness. However, unlike home mortgages, many financial institutions will offer a 0% down/100% financing option for business loans. If you’ve been sitting on the fence about purchasing a new mobile clinic, now may be the time to finally make the jump. Contact La Boit today for more information.